Cook for a crowd with All-Clad Professional Stockpots. They works well for preparing soups and stocks, heating and reducing liquids, and cooking generous portions of pasta, corn on the cob, or seafood. High straight sides reduce evaporation time, while the wide base allows for sautéing. 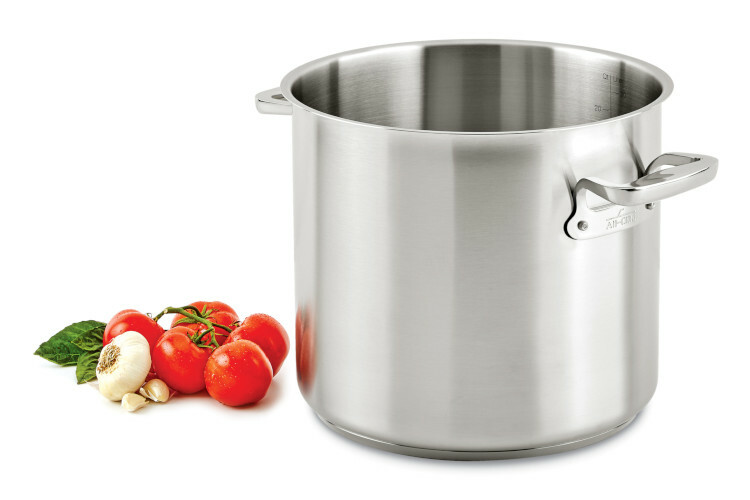 With All-Clad Professional Cookware, experience the performance, quality, and durability of All-Clad cookware in a large size conducive for commercial use. All-Clad Professional’s heavy-gauge brushed stainless-steel construction won’t react with food, and its thick warp-resistant base ensures quick, even heat distribution and can be used on all stovetops, including induction. Enjoy a lifetime of ultimate cooking convenience and masterful results with All-Clad Professional cookware.